$21.027 million on 2711 screens. Tom Cruise as a Nazi? I suppose a more ludicrous casting choice can be imagined, but it’s tough. Nonetheless, that’s what 2008’s Valkyrie brought us: a sieg-heiling Cruise – with an eyepatch, to boot! I try to keep an open mind, though, and the story of Valkyrie offers enough intrigue to entice me. 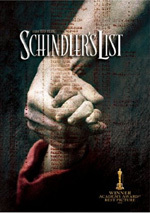 Based on true events, the film takes us to Germany smack dab in the middle of World War II. We meet Colonel Claus von Stauffenberg (Cruise), a German officer who grows increasingly convinced that Hitler’s cause is detrimental to the good of the world. Severely injured on an African battlefield, Stauffenberg ends up back in Germany and he comes to the attention of Major-General Henning von Tresckow (Kenneth Branagh). Tresckow led one unsuccessful plot to kill Hitler and wants to make another attempt. He brings Stauffenberg into the scheme, and our colonel comes up with a twist: the conspirators will prompt the activation of a plan called “Valkyrie” which will bring a military government into power. To ensure success, the plot also involves the assassination of Hitler. None of this will come easily, but Stauffenberg participates to help save Germany – and the world. Movies based on historical events run into one crucial problem: we know how they’ll end. The Titanic will sink, Harvey Milk will die, and Apollo 13 will land safely. 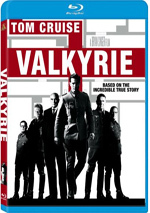 In Valkyrie, we confront a historical inevitability: the plot to assassinate Hitler will fail. As we learned from many of those earlier films, the oppressive nature of facts doesn’t mean the films can’t become exciting and dramatic. Unfortunately, in the case of Valkyrie, any excitement or drama fall firmly into the theoretical construct, as they rarely materialize during this turgid piece. How can a plot to kill the most notorious madman of the last century be so darned dull? I’m not sure, but Valkyrie fails to bring anything dynamic to this tale. The first half of the film consists of little more than bureaucratic shenanigans and feels like a lot of paper-pushing. The failed bomb goes off about 60 percent of the way into the movie, but it doesn’t manage to create excitement either, largely because much of the remaining film consists of… more bureaucratic activities. Of course, the movie needs to stay fairly true to the actual events, so there’s only so much that can be done here. Nonetheless, the result remains awfully dull. The filmmakers do their best to goose some excitement with loud sound effects and dramatic music, but these go nowhere. If anything, their urgency seems desperate and reinforces the tedious nature of the story. Many have criticized the muddled multi-national nature of the cast. Yes, it does seem silly to mix American, British, German and other accents all under the same allegedly Deutsch umbrella, but I accept that as a movie convention. Besides, it’s not like Valkyrie is the first flick to take liberties in this domain. Though I don’t mind the linguistic absurdities, I do feel disappointed that none of the actors bring much to their roles. Valkyrie actually boasts a solid little cast. In addition to Cruise and Branagh, we find talents such as Tom Wilkinson, Terence Stamp and Bill Nighy. All fall into the movie’s vortex of boredom and fail to elevate the material. Poor Cruise becomes especially hamstrung by the material. We’re supposed to see Stauffenberg as a heroic figure, but he’s too simple-minded for that. It doesn’t help that he looks like a stooge through much of the film’s second half. As he runs around and insists that Hitler’s dead, we see him as a stooge. If the audience didn’t know that Hitler survived, these scenes might work, but since we’re aware of Stauffenberg’s mistaken belief, he looks like an idiot. I get the impression that Valkyrie aims for a movie-going demographic of ignoramuses. In regard to Hitler’s fate, it does its best to keep us in suspense. If a viewer wonders what happened to Der Fuehrer, then that viewer doesn’t know history. I’m sure plenty of folks fall into that category, and those people probably will get more from the film. I don’t think it’s a good sign when filmmakers design their work for a subset of ignorant folks. To add to the disappointment, Valkyrie offers the first collaboration between director Bryan Singer and writer Christopher McQuarrie since 1995’s The Usual Suspects. What the heck happened to these guys? Suspects was a terrific neo noir, but no signs of those clever filmmakers appears here. We waited 13 years for a Singer/McQuarrie reunion and this was the best they could do? Maybe they’ll eventually collaborate on a film in which Keyser Soze tries to kill Hitler. That’d be fiction, but it’d probably be more interesting than Valkyrie. There’s an interesting story to be told here, but this consistently boring movie fails to capitalize on the natural material. Valkyrie appears in an aspect ratio of approximately 1.85:1 on this Blu-ray Disc. While not the most dynamic Blu-ray I’ve seen, the image satisfied. For the most part, sharpness appeared strong. However, fine detail was slightly lacking in some wide shots. Although these were minor instances, they meant that the delineation wasn’t quite as consistent as I’d like. I noticed no issues with shimmering or jagged edges, and edge haloes were minor at worst. Source flaws remained absent. A few shots seemed a smidgen grainy but otherwise the movie didn’t suffer from any distractions. 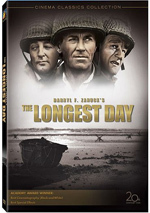 As one might expect from a period flick like this, Day provided a subdued, chilly palette. Colors tended toward a desaturated bent, but they seemed clear and well-developed within those constraints. Blacks showed good depth and darkness, while shadows were solid. A few shots seemed slightly dense, but those occurred infrequently. I didn’t think highly enough of the image to merit “A”-level consideration, but I felt pleased with what I saw. War movies usually provide dynamic soundtracks, and that occasionally was the case with the DTS-HD MA 5.1 soundtrack of Valkyrie. With a variety of action and ambient elements, the audio brought the events to life in fine fashion. Military sequences added the greatest punch, but the various bits connected to the plot contributed an involving sense of atmosphere. The pieces used all five speakers to good advantage. I especially liked the battle at the start of the flick, as that sequence fleshed out the channels in an engrossing manner. Quieter scenes contributed good breadth and smoothness as well. All of this meant the audio filled out the spectrum in a nice manner. When we launch into the disc’s extras, we start with two separate audio commentaries. The first comes from director/producer Bryan Singer, co-writer/producer Christopher McQuarrie, and actor Tom Cruise. All three sit together for this running, screen-specific look at research and historical elements, story/character issues, action and effects, cast and performances, sets and locations, visual design, editing and music. The track occasionally becomes too self-congratulatory as the participants pat themselves on the back for their historical accuracy. Nonetheless, those moments pass quickly and the majority of the piece offers a good look at the film. The three participants mix well and cover a broad array of topics, so this commentary becomes worthwhile. For the second track, we hear from McQuarrie and co-writer Nathan Alexander. Both sit together for this running, screen-specific chat. They look at the project’s origins and development, script/story subjects and rewrites, facts and liberties, and a few production notes. At its best, the commentary serves as a good piece of historical background. The writers flesh out the onscreen action with addition information about the participants and situations. They also dig into film-related topics quite often and ensure that we learn a lot both about the script and the history involved. The disc’s most substantial video program, The Valkyrie Legacy runs a whopping one hour, 54 minutes and 15 seconds. It includes remarks from McQuarrie, Singer, Alexander, conspirator’s grandsons Clemens Schaeffer, Jens Jessen and Matthias Graf von Kielmansegg, former news anchor Ulrich Wickert, German Resistance Memorial Center research fellow Dr. Ekkehard Klausa, German Resistance Memorial Center director Professor Johannes Tuchel, July 20th conspirator Philipp Baron von Boeselager, publisher/philanthropist Lord George Weidenfeld, UNC Professor Emeritus Gerhard Weinberg, University of Cambridge Professor Richard Evans, McGill University historian Professor Peter Hoffmann, conspirator’s sons Dr. Axel Smend, Berthold Graf von Stauffenberg and Rudiger von Voss, US Department of Defense historian Robert J. Hanyok, former US Secretary of State Henry Kissinger, conspirator’s daughters Astrid Grafin von Hardenberg and Konstanze von Schulthess, conspirator’s granddaughter Sophie von Bechtolsheim and conspirator’s widow Johanna Rahtgens. “Legacy” takes a closer look at the history behind the movie. It briefly covers Hitler’s rise to power and the start of World War II before it delves into various resistance movements. Those occupy the majority of the program, as we learn about different attempts to get rid of Hitler. The show also delves into the aftermath of the “Valkyrie” conspiracy and its impact on the participants and their relatives. Sometimes a disc’s supplements are far more interesting than the main film itself, and that proves true here. “Legacy” delivers a good examination of the conspiracy itself, and I especially like the way it looks at the impact of the events. I had assumed it would end with the failure of the assassination attempt, but “Legacy” goes far beyond that to discuss subsequent events. The program combines all these elements and delivers a fine documentary. Six featurettes follow. The Journey to Valkyrie lasts 15 minutes, 56 seconds and features Singer, McQuarrie, Alexander, Cruise, Col. Stauffenberg’s grandson Philipp von Schulthess, producer Gilbert Adler, editor/composer John Ottman, production designer Patrick Lumb, executive producer Chris Lee, military advisor Markus Albrecht, WWII-era Berlin resident Doris Egbring-Kahn, cinematographer Newton Thomas Sigel, government spokesman Ulrich Wilhelm, and actors Bill Nighy, Kenneth Branagh, Eddie Izzard, Thomas Kretschmann and Christian Berkel. The program examines the roots of the film, research and script development, how various participants came onboard, period details and locations. Despite a few interesting thoughts, “Journey” essentially provides promotion for the film. It works hard to convince us of the project’s depth and accuracy. This tone means we don’t learn a ton about the film. During the nine-minute and eight-second The Road to Resistance: A Visual Guide, we get notes from Schulthess as he narrates a tour of various locations connected to the film’s story. We also hear from Hoffmann and Colonel Fritz von der Lancken’s daughter Maria Antonia von der Lancken. No real new info emerges here, but it’s good to check out the real sites behind the flick. We take a closer look at the opening battle with The African Front Sequence. It goes for seven minutes, one second and features Cruise, McQuarrie, Singer, special effects coordinator Kevin Hannigan, action coordinator/stuntman Vic Armstrong, and the picture vehicle department’s Stephen Lamonby. As with “Journey”, “African” works overtime to convince us of the movie’s realism and accuracy. This means a lot of hype and only a smattering of insights. Taking to the Air fills seven minutes, 32 seconds with notes from Cruise, Hannigan, Singer, actor Jamie Parker, Junkers pilot Andy Pister, aerial coordinators Mike Patlin and Mike Woodley, and Messerschmitt pilot John Romaine. This one examines the use of actual aircraft during the shoot. It shares the same problems seen in “African”, so don’t expect a great piece. Next we head to the six-minute, 51-second Recreating Berlin. It presents remarks from Singer, Lee, Cruise, Hoffmann, Lumb, Nighy, McQuarrie, and set decorator Bernhard Henrich. The show looks at the attempts to bring Berlin circa 1944 to life. Though it shares the same breathless tone of its predecessor, “Recreating” includes a higher level of information than the others. It’s still not great, but it’s interesting. Finally, 92nd Street Y: Reel Pieces with Tom Cruise and Bryan Singer lasts 38 minutes, 56 seconds. Hosted by Annette Insdorf and shot before a live audience, they chat about Valkyrie and various aspects of their careers. Inevitably, they repeat some information from other parts of the disc, but they provide a reasonable amount of fresh material. The piece moves well and turns into an enjoyable, semi-informal chat. A few ads open the DVD. We get clips for The Pink Panther 2 and Quantum of Solace. No trailer for Valkyrie appears here. Despite its inevitable conclusion, a movie about a failed attempt to assassinate Hitler doesn’t have to flop. Unfortunately, Valkyrie provides a genuine clunker. A thriller without anything thrilling, the movie fails to exploit the situation’s inherent drama. 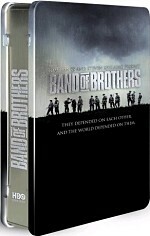 The Blu-ray offers very good picture and audio along with a terrific set of extras. I’m very pleased with this disc, but the film itself disappoints.